Sister Sampler Quilts by AnneMarie Chany is a beautiful new book! AnneMarie took her love for sampler quilts and put into a format that any quilter can appreciate. Each of the quilts includes two of the same block, but the coloring or fabric placement differs – making them sister blocks. I love this plan, you get to try a new block – twice – and odds are you will remember the subtle details that make each block better than the last. AND the blocks are all bound to work together well since you are using similar fabrics in each block. I love the visual table of contents. And the quilt layouts later in the book are dynamic, and unique. AnneMarie has included step by step photo tutorials for Half-Square Triangles, Flying Geese, and lots more, making it a great beginner book too! I always find something new in a book thou, no matter how experienced I am! I had fun making these two Lady of the Lake blocks in my Serenity fabrics. I made the 9″ size and love how they are similar, but different. There’s 9″ and 12″ blocks both included in the book – it’s great to have options when you are planning your quilt. *I have a copy of Sister Sampler Quilts to giveaway to one lucky winner! To enter, leave me a comment about your sampler quilts – have you made one? twenty? I’d love to know all about them! I’ll select a winner on Monday, February 1st. 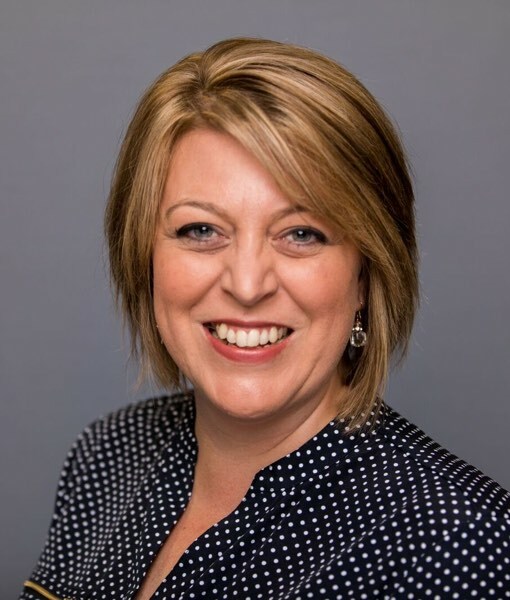 Check out the other blogger’s on the hop for more info, and photos! My very first quilt was a sampler made with calico fabric, cut with templates and sewn by hand. I hated the quilt by the time it was finished and my daughter had to rescue it from the donation pile! I love the modern blocks and layouts featured in AnnMarie’s new book! Let me see: I have completed 3 Aurifil BOM/DOM quilts (hosted by Pat Sloan), 2012, 2013 and 2014. I have currently started on the one for 2016. I have also started made the two first blocks for the Modern HST Sampler hosted by Blossom Heart Quilts. In addition, I am also contemplating joining the Sugar Block Club by Amy Gibson. Phew, that’s a lot, and I love all of them! I’ve done dozens of sampler quilts – I find them a lot of fun especially via BOM programs. I think this will be my third or fourth sampler. Thanks for the giveaway! I’m only on my third quilt ever, so I haven’t done a sampler yet. But it has only been a couple of months. I have plenty of time and they all look so bright and lovely. This book looks interesting. I’ve done one sampler quilt. My first, and only, sampler quilt was the one I made when learning to quilt — a free class given by my guild. The next one I hope to make is a Dear Jane! I’ve never done a sampler quilt- but this one looks really fun. I would love to do this and swap with my Mom or sister! I’ve made 2 sampler quilts when I started this adventure – very large – king size- and am planning on doing more – smaller though. Thanks. I’ve only only made one sampler quilt. Each block is different and it was made with navy, dark red and off white flannel print fabrics. I purchased a sampler quilt kit last year, but there are so many techniques that I haven’t tried yet, that I have been too intimidated to get started. I love the look of samplers and hope to get the courage to get some started soon. This book looks likes a great place to start! My first two quilts were sampler quilts. I went to a beginner’s class and we made 15 different blocks. I made two of each so made two quilts at once. Doing each block twice allowed me to improve. I have never done a sample quilt. This book looks like it would be the right thing to get me to make my first sample quilt. I have not made a sampler quilt yet. This looks like a fun book! Thanks for the chance to enter the drawing! I have made quite a few sampler quilts – I like doing the various “BOM” things over a year. I usually make two at a time – one in modern type fabrics and one in a Christmas theme. Now all my kids have a Christmas quilt! Sampler quilts are fun to make! I have made about 10. What a fun looking book. I’ve only made two sampler quilts.. I made one sampler in the past and I started my customized Dear Jane earlier this year. Thanks for the chance! it looks a very interesting book! I’m working on my first sampler quilt now! My inturpation of a sampler quilt was a collection of orphan squares I had made up at different times to figure out block and math. I have made several sampler quilts in a local BOM class. Each year I think maybe I will stop, but I enjoy going to the class too much. The class is one in which they don’t give you the final layout so we get to come up our own. I liked seeing these modern layouts in the book. I took my 1st Quilt class with a Sampler quilt at Hancock Fabrics in the 1990’s. Great Idea to make Sister Blocks. My favorite Sampler is my Sylvia’s Bridal Sampler with 140 – 6″ finished blocks. Thanks for the Giveaway! I’ve made many, many sampler quilts and I’m working a mystery one right now. It’s fun to be challenged to try different techniques that I wouldn’t have used otherwise. No sampler quilts yet in my quilt stash but I plan to sew along with the Splendid Sampler QAL this year so there should be one coming in the very near future. I have not made a sampler quilt. It’s definitely on my bucket list, though! I’ve made several samplers. Last year I finished the Women of the Bible BOM and Friends & Companions. Both were so much fun to follow along with! Making my first sampler quilt now-it’s a mystery too so it should be fun. Ive made one sampler quilt and one row quilt ( which is sort of a sampler, in a way…) i’m slowly making blocks for a blue & white sampler. Samplers are so interesting. I love making samplerquilts. So much fun making one or two of lots of different blocks. I’ve made a couple of samplers, two were through the Saturday Sampler program at a LQS. I’ve also made a mini. I got Elizabeth Hartman’s Patchwork City book for Christmas and am looking forward to more modern samplers in my future, this book would be awesome! I’ve never made a sample quilt! I have done only a few sampler quilts. I like to have things a bit more controlled. The book looks amazing. Thank you. I guess you would call this a sampler quilt. I am trying to finish my rainbow scrap challenge 2015 quilt from http://superscrappy.blogspot.com/. I enjoy making the different blocks. I’ve never made a sampler quilt. I would love to try one with the Sister’s Sampler book. Thanks! I haven’t made any sampler quilts lately, but these modern versions look like something I would like to try! I am making my first sampler quilt now, out of blue and whites. This book looks fab. Lots of great ideas! I’ve looked at and loved sampler quilts–they are on my ever growing list! Thanks for the chance. I have made a few sampler quilts, but I love the ideas in the book to keep them from being hum drum…Thanks for sharing the giveaway! I’ve not yet made a sampler quilt, but would love to make one as a gift for my mother, I know she would be thrilled! Thanks for the review andn chance at this lovely book! Samplers are my favorite! I learned to hand piece making a sampler in a quilt class at a local quilt shop. I have three or for sampler tops ready for quilting and am in the process of making a sampler of 6″ blocks all done in 30s repros. I have just over 100 blocks made, but want to make more so the quilt is big enough for my bed. Have not made a sampler quilt yet…. have drooled over several! Love the look of the blocks in this book. Thanks for sharing it with us. My sister and I have a sampler swap going. Make two of every block and keep one, share one. Only she is way ahead of me in making the blocks. HELLO, this book looks very interesting! No,I have not made a sampler type quilt>maybe now is the time! THANK YOU FOR THE GIVEAWAY! Amy, my first sampler quilt was a block exchange.we each made nine of the same blocks and received 9 different blocks to put in a quilt. My next one was a hand appliqués Hawaiian designs with 16 blocks all in batiks. I love chapter 2 in today’s book where the colors are reversed for a totally new look. I’ve only made one sampler quilt. I usually find them too busy. I do like these sister blocks and the layouts in this book so maybe I’ll give samplers another try. Thanks for the giveaway. I’ve made only one sampler out of Christmas fabrics. This book looks interesting. Thanks for sharing. These are great blocks. Love your fabric selection. I made a sampler many years ago as a class at my LQS. I’m doing the Modern HST Sampler right now hosted by Blossom Heart Quilts. I tend to make samplers for my grandgirls, they look cute in pinks and purples for them. Lets me do my own thing also. thanks for the chance of a new great book! Thank you for your review and the chance to win. I have not made a sampler quilt yet but this blog hop has me intrigued. I am working on my first sampler quilt now. I love that this book encourages you to use the block or blocks you love in different ways. Thanks for a chance to win what looks like a really useful book. I’ve never made one but hope to someday. This would be a great resource to have. The first quilt I make was a sampler quilt – pieced and applique blocks. I haven’t made another sampler quilt but I’m sure I will in the future. I haven’t made one yet. I’m a fairly new quilter. But I think it would be great. It definitely wouldn’t be boring! I guess the correct term for me is UFO on the sampler quilt. I started one, but it sits in a drawer. Oh, woe is me! 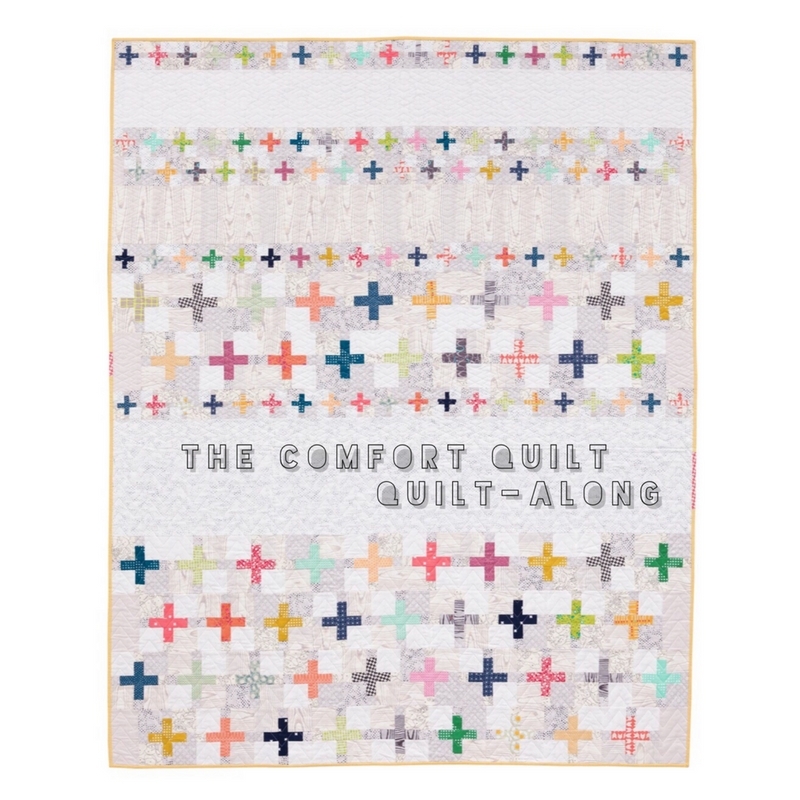 I have never done a sampler quilt – seems like fun and will add to my To Do list. I’ve made two sampler quilts and I love them. They allow me to try out a block without feeling as though I have wasted my time and resources. I’ve made one and would love to do another. I have made several sampler quilts. Some were BOM’s. I have also made quilts with my “quilting sister”, my mom. We made two wedding quilts, Christmas gift quilts, and donation quilts for our local quilt guild. We are considering doing this sister quilt project! I have never made a sampler but am really loving the colors and layouts in this book! I make sampler quilts when I do the annual shop hops here in eastern PA. I love the layouts in this book. very unique. I haven’t made any YET, but I want to make one! :). Thanks for having a giveaway. I have the first Sugar Block sampler blocks in a box. I just did not put them together. This book would be great for setting ideas. I haven’t made a sampler quilt yet but I’ve always liked them. I really like this book and would love to have it! I’ve never made a sampler quilt and will be starting my first BOM (pattern only stash buster) in April. This looks like a good starter book! I have two sampler quilts that are not finished. I enjoy them as you get to try new blocks and you don’t get bored with the same block. Thanks for giveaway. i am currently doing the farmers wife sampler. I am actually up to date with all the blocks. I have started a couple of BOM samplers also(which are a larger size block) I have to say , i enjoy working with a 12″block vs the 6″ block. I have 3 sampler quilts in various stages. 2 are pieced and 1 is applique. This book looks really interesting. I am new to quilting and have not made one yet. But I like making so many different blocks, I have one in the making now. Years ago, I made a lap quilt which was a sampler..I need to make another. My second quilt, the first class I took was sampler. I ended up hand quilting it. Probably the first and last! I’m also working on a Farmer’s Wife type quilt. I have never made a sampler quilt, but I would love too!! I recently bought this book and can’t wait to start a sampler quilt. I would love to win the book and give it to my friend! I have made one 4 square sampler. I would love to make a set of two 4 square samplers with the same fabrics that o place on 2 walls in the same room of my house. A three square Sampler is my accomplishment. It became a winter themed table runner for a family member, using Snowman prints from Susan Winget, borders were red. I chose apolka dot backing in blues whites . I’ve never made a sampler quilt, by my siblings are going to start having children and it would be fun to make them sister quilts. this sounds like the best place to start! I have never quilted in my life although I am a sewer. 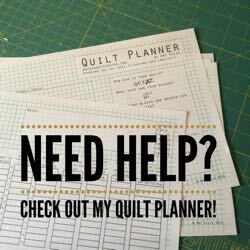 I came across this link via pinterest as I am planning on making some memory quilts for family members from the shirts and ties belonging to their Father who passed away last year in his 96 year. I am looking for tutorials as I am planning to do block samples as my quilts. This giveaway would help me immensely. Thank you for the opportunity. My very first quilt was a sampler quilt I made in a “learn to quilt” class at my LQS. It is still one of my favorite quilts, in spite of the fact I had no idea what I was doing! I am making a Dear Jane quilt. Kind of a sampler quilt, right? I am planning on doing a Gypsy Wife Quilt. So far I have only done very basic quilts. I’ve made sampler quilts from my mini groups block exchanges. I love these creative layouts. I am new to quilting and just learning as I go. Very few quilting classes offered locally, and the one I did find did not offer beginner quilts. So far I am learning as I go and working slowly. I’ve made a few samples quilts and do enjoy the process. I have not made a sample quilt before but am open to giving one a try. I’d love to win a copy of this block for my Modern Quilt Guild. I’m the librarian and always looking for a good book to add to our collection. I have made three sampler quilts–my favorite style is a “twin sampler” where I make two of each block in different colorways..it becomes a game of memory/matching. I have made one sampler quilt when I first started quilting – a gift for my MIL! 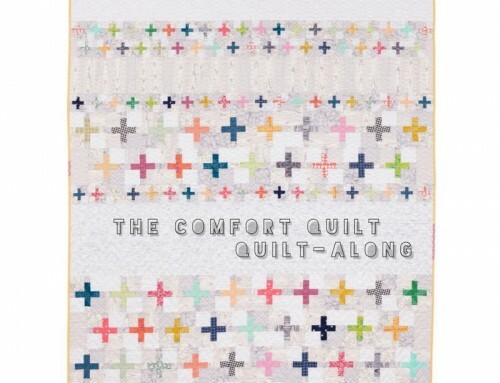 I am currently planning a sampler quilt so this book would be fabulous!! Thank you so much for giving me the opportunity to win a copy!! love your sweet lady of the lake blocks – your fabric looks fabulous ! my first quilt was a sampler quilt made with calico as the background !! it doesn’t seem that long ago either but I’m so glad there are awesome fabrics around now !! According to what I read, the giveaway ended yesterday? But I got your email today. Anyway, in case it is still open, I wish to add my comment! I have not made a real sampler quilt, but have made sampler blocks and stretched them over frames to use as hangings. I did this years ago. I am always working on something having to do with quilting and I would love this book. Your blocks are beautiful – I particularly like your fabric selections! Thanks! I have made two samplers, one was a Moda post card sampler, and the other was a row by row sampler our quilt guild did. I also have a few that are in process for many years. This would be a great book to give to one of my daughters, but which one of the two. I’ve started a bunch of sampler quilts. Now to actually finish one! They’re fun to make because there’s lots of variety and you don’t feel bored having to make the same block over and over. I haven’t really done a fabric sampler, but have worked on quilts where the the FMQing is different by each color or each block or section of the quilt. It would be fun to make a sampler from this book. Thanks for the chance! Have done samplers, and I will do more! Thanks for hosting the giveaway! I have made many quilts but I have never made a sampler quilt. This book looks like it would be a great start! I must say I too have mad many quilts, but none a sampler quilt. I have saved one block from each quilt I’ve made with plans to incorporate them into one. I started quilting in 1976 and the first few quilts I made were samplers…it was a great way to practice a variety of techniques. I made my all-time favorite sampler in 1997….they were all star blocks set on point using a Jinny Beyer border print, fussy cut, and a solid black as the background fabric. The quilt sold at the first show I took it to….and I didn’t even take pictures of my quilts then…..maybe it’s time to make another? Thank you for the opportunity to win this wonderful book. I’ve never made a sampler quilt but I have signed up to make two this year. I made a sampler wallhanging years 30+ years ago and this article reminded me of a sampler UFO that I am going to find in my archive and finish! I’ve never made a sampler quilt but have been thinking of doing one recently. I love the block samples you show. I have made a couple of sampler quilts, I actually have one I will be quilting this year. I like the fact that it addresses different skills in making the quilt and you can start from an easy block and move to a more complex unit by the end. You are then ready to tackle just about any quilt block. Thanks for the giveaway also. Many years ago when I began to learn to quilt, I made a small sampler. It was a wall hanging and had four squares in it. This was for my friend’s daughter, Erica, who was also really into ballet at the time. So I improvised in one of the squares, and hand appliqued ballet slippers, and used real ribbon for the tops. The other sampler quilt was a Baltimore Album sampler. I must have given it to someone because I don’t have it anymore. My very first quilting project back in 1997 was a traditional Sampler Quilt which we made block by block, hand cutting the pieces. I enjoyed the process but found putting it together so hard that it was put anyway – somewhere deep in a cupboard. So long ago I don’t even know which cupboard. Perhaps I should see if I can find it and finish this longlost UFO? Or, if I was lucky and won the Giveaway I would get some extra help? I’ve not a made a sampler quilt yet; only one bedsize quilt. I love the front cover of the book! Thanks for a chance to win. My first quilt and only sampler was for the Beginning Quilting class I took back in 1978.Plus it was quilt as you go. Remember those. 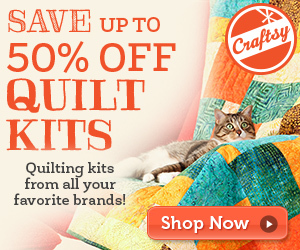 I am drawn to sampler quilts, I like the variety that they offer. Thanks for the opportunity to see some new ways to put one together. I made several sampler quilts during the earlier part of my quilting life. I would take a class at a LQS that we would meet once a month to learn about a quilt square and pick up supplies. The next month, you would bring your finished square and pick up another. It was fun. I haven’t actually completed any sampler quilts, but have several in the works — primarily BOMs. I love what I’ve seen of this book — the very different looks created by reversing the darks/lights in the blocks and other value changes. I’ve done a few samplers, one of my first and most favorite is a sampler. But one of my biggest UFOs is a Farmer’s Wife sampler! I guess I’m a sucker for a scrappy sampler! I haven’t made a sampler quilt yet, Amy. However, just looking at a few pages of this book has given me the bug. Thank you for giving us the opportunity to win this beautiful book! I can’t wait to try some of the blocks.